Get ready Nintendo fan boys and girls! 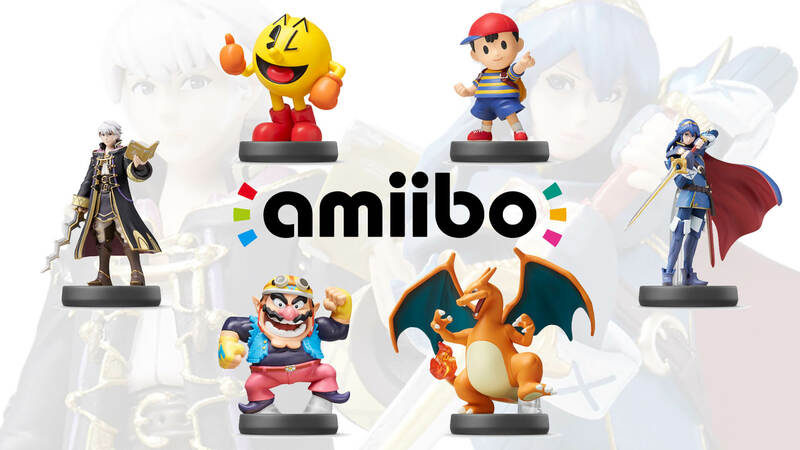 Nintendo of America has announced that the next wave of Amiibo will be sold on September 11th, 2015. Nintendo revealed details about Amiibo this morning in a press release, weeks before its new set of characters are slated to arrive. 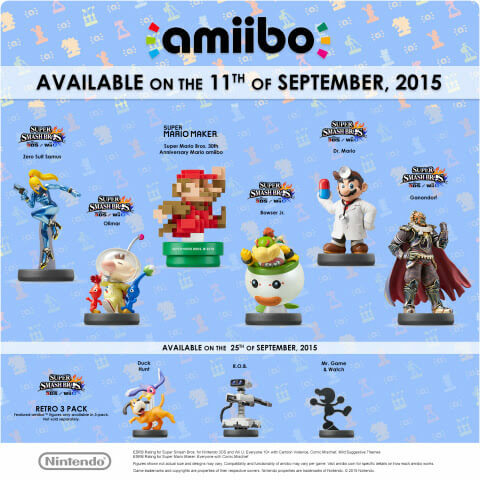 Zero Suite Samus, Olimar, Dr. Mario, Bowser Jr and Ganondorf figures are all coming. These are primarily associated with Super Smash Bros., but the 30th Anniversary Mario is meant to celebrate the release of Super Mario Maker, which is also due out on September 11th. Nintendo has a special Super Mario Maker Amiibo in both red and blue, but details on it remain hard to come by. The next Amiibo wave, on sale soon! Later in September, the Retro 3 Pack is set for release on September 25th in the US. This bundle consists of Duck Hunt, ROB, and Mr. Game & Watch Amiibo figures. Meanwhile, the three-pack that was expected out in September (featuring Mii fighters) won’t be out until November. Amiibo are relatively small figures that can have a big impact on gameplay in some of Nintendo’s most famous franchises. Each figure is equipped with an NFC or near-field communications chip that’s able to unlock different pieces of content when pressed against Nintendo’s consoles. If you want the next wave of Amiibo, make sure to follow the Nintendo Amiibo page, as they sell out within minute of being on sale. Amiibo figures aren’t yet available for pre-order on Amazon and GameStop isn’t taking pre-orders ahead of this new Amiibo release date yet either. Presumably Nintendo and its retail partners are still working on how best to offer this wave of figures in a way that doesn’t frustrate fans. Stay tuned for details, and let us know what you think about the news in the comments below!